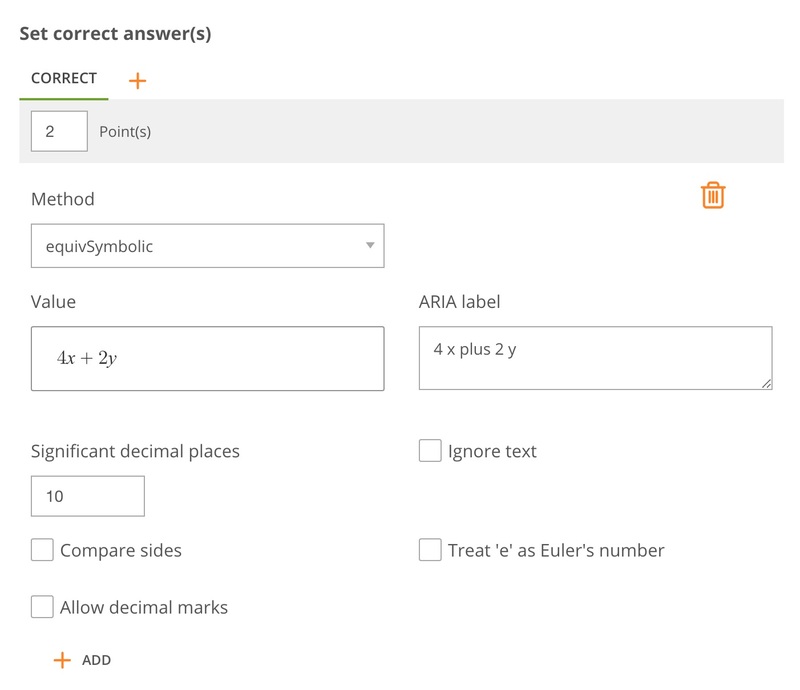 A math formula question is a text entry type item, using a calculator interface, that asks the student to provide an answer to a math stimulus. In the Compose Question field, write the instructions or question. Then in the Template field, write the equation or problem for the student to solve. In the Set Correct Answers section, enter a point value for each correct answer. Write the answer in the value field. (This needs to look exactly like the answer box that the students type in their response- you may need to include the equation in the value or the students need to type over it.) Then select the different boxes for other feature options. Click on the carat to display More Options. 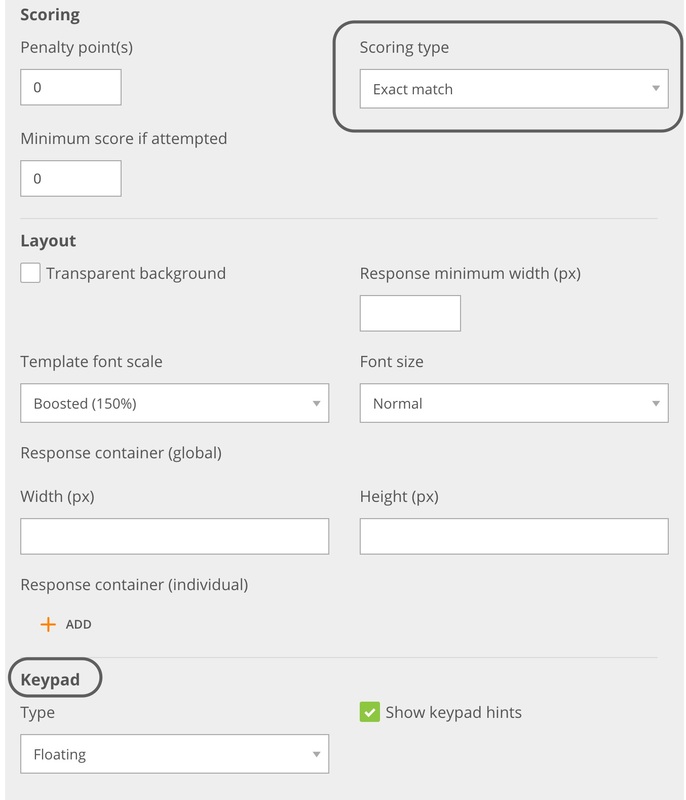 You can chose to change the scoring, layout or keypad. Before you publish the item, validate that the answers are functioning correctly. To do this, type the answers in the preview pane and click the Show Answers box. Correct answers should be highlighted in green and incorrect answers should be highlighted in red.